Thanks Andy! great to be here with true believers! 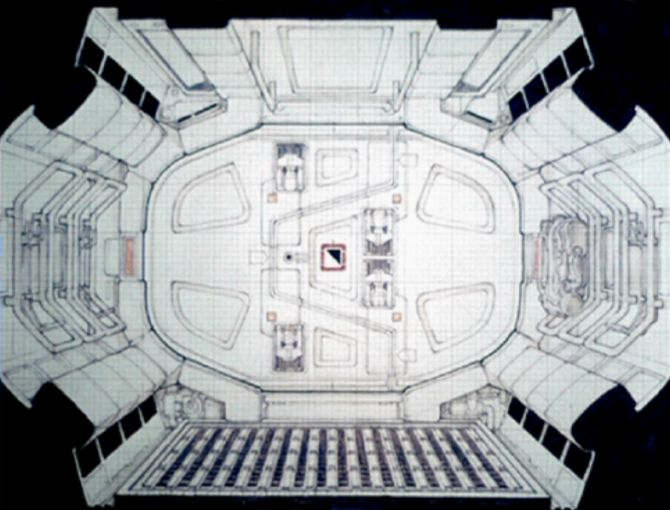 This Cobb sketch that was posted, is undoubtedly how they expected it to work, Note that as they open, the hatch doors would have to stick out of the slots in the side of the little module there (that presumably lowers out of the hull of the Nostromo). This "where do you put the doors" problem also plagued the Eagle launch pads of Moonbase Alpha in Space 1999. But the actual set just has the scissor lift that goes into the ground, next to a vertical support that it's not attached to. So the way they actually built it, wouldn't have worked. Here they are taking a dump - er, waiting for the lock to open, so you can admire how closely the set doors resemble the Cobb sketch. Out on the lock platform. Unusual angle on the Narcissus garage. On the fixed part there you can see the "EI" logo and where it says "NARCISSUS". Note the inexplicable neon tubing. Brightened up the flyby shot where earlier it was pointed out you can see the forward claw doors. Brett walks into the Forward Landing Claw room. That set design is just superb. It still amazes me when I see the credits on Alien, and the number of people that worked on it, compared to a movie today...the list is at least five times longer. No CGI back then and just really wonderful craftsmanship. What I like is now Ridley goes for mood and atmosphere. It's always plausible, but he's not afraid to say, "I need some movement in there. Let's have some falling water, and moving chains". Chains? "eh... they have to haul stuff up. I dunno. Who cares, it looks good. And the swaying chains give the Alien a place to hide until we're ready to show him". 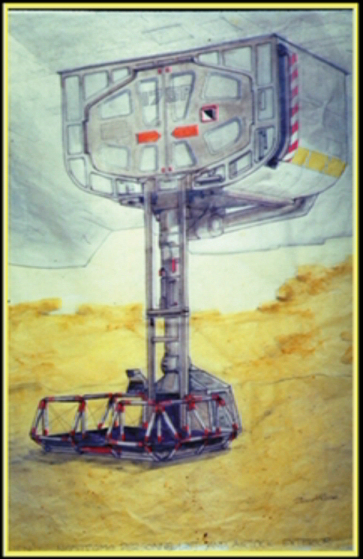 Good catch, the BOOK OF ALIEN credits the sketch to Stuart Rose. I always think it's Cobb because they used the symbol from Cobb's "Semiotic Standard" (the white/black square with red border) on the hatch. Thanks Phase Pistol, my Book of Alien is in storage and I couldn't access it. This image however is by Ron Cobb...the final built set is very close indeed. Man I just love Ron Cobb's work, I wish he'd come out with a new book or something with his technical illustrations and everything, that would be SWEET! Yep! That's the Cobb. My own copy of COLORVISION is around here somewhere... gotta find it! You'll note that on the set they use the "Ralston Purina" red-checkerboard symbol instead of the black/white symbol. These things all have specific meanings, I think the white/black must mean "danger! vacuum! probably" or something like that. One really cool thing about last year's film SUNSHINE by Danny Boyle, is that similar iconic symbols were used on the set of the Icarus II spacecraft. That's a nice bit of detective work! Incidentally, I have to admit that in all the years I've been watching Alien, it had never clicked that the structure in the room where Brett is killed was one of the landing legs. Puts a whole new perspective on it for me now. Both Alien and Blade Runner have held up remarkably well even after 20 years. Its a testament to Ridley Scott's attention to detail. There's a level of real world detail/chaos that you just can't get out of the computer. 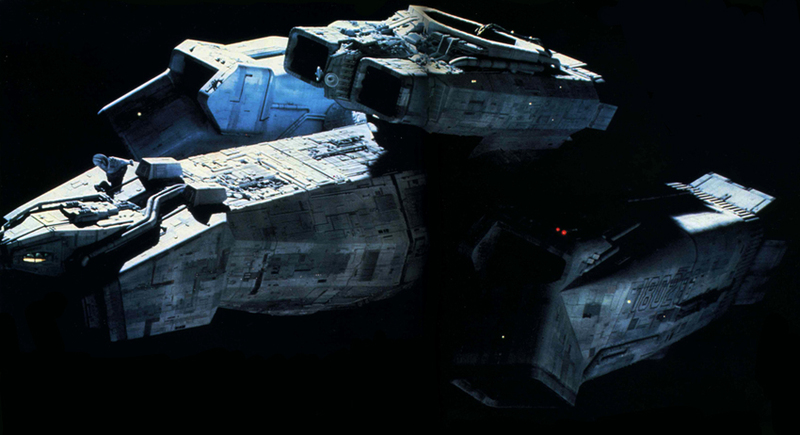 WOW guys... Ash's Blister is on the port side of the Nostromo 100 meters forward of the port landing leg, ....whoa! I did not know that! all this time I thought it was near the front strut on the hull! all this time it has been on my kit and I did not even know what it was! I got a letter from the guy who designed her, he was very Helpful! WOOOW, JT, great find ! Here's another site with some great pictures. I really like this shot of the Narcissus. 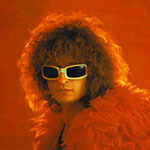 Yeah Neil, Martin Bower's site is really cool... Lots of cool pics !